A pleasure folks, and thanks for standing in as technical support, Allard! I think Monat's Steed is superb. He imbues a warmth and humour that the character requires (and which is probably why Ralph Fiennes' rather restrained, lukewarm style didn't suit, whereas Monat's does) and he makes the part his own. To me he sounds a rather older Steed than Patrick's, though he was actually about the same age as Patrick was when he was playing Steed. Whatever, he was an inspired choice, and a special mention also for Diane Appleby and Hugh Rouse, both of whom add a distinctive touch to the proceedings. I'm now listening to WHOEVER SHOT POOR GEORGE OBLIQUE STROKE XR40 ? !! I notice that a few things are different and I like that, it brings something new to the well known story. In the first two episodes of 'The Joker' the narrator calls this one 'A Joker'. I wonder if the producers intended this name? I'm enjoying reading the compilation of interviews from 2000/2001 with Donald Monat on Avengersdeclassified. It's great to have first hand memories of the making of the The Avengers radio show. I've really enjoyed listening to The Avengers radio series recently. 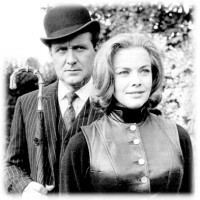 They're fantastic fun and Donald Monat and Diane Appleby are great as Steed and Mrs Peel. Browsing Wikipedia I notice that they claim 21 complete serials survive, include two I've never heard - A Sense of History and Who's Who! Wikipedia isn't always the most reliable source of information, but does anyone know if this is true? I'm certainly not aware of either of those two serials existing. I'm sure they were made, but have found no sign of them as surviving recordings. It sounds like a traditional piece of Wikipedia misinformation to me, but I'd love to be proved wrong. It was a surprise find that came up while working on the contents for the Optimum DVD sets. I was quite taken aback! Just listened to a few of these again and really enjoyed them. Checking the excellent website I was interested to learn that they were broadcast in Australia. Has any more information on this come to light? I am curious to know when they were broadcast and by whom. Also is there a definitive list of what stories Sonovision produced? And I must add a HUGE thank you Alan and Alys Hayes for their work for restoring and sharing the surviving episodes with us all. They are brilliant! Hopefully more might turn up. Please note: The Avengers radio serials are available on The Avengers Declassified until 2nd August 2011 and will thereafter be taken down. HI ALAN HOPE YOU ARE OK AND IF I CAN ASK IF YOU DO NOT MIND WHY ARE THE SHOW BEING TAKEN DOWN AND ALSO GOOD LUCK WITH THE BOOK AND MAY BUY A COPY IF I CAN. On another note, I would like to thank Alan and Alys for the fantastic job they've done of restoring the episodes of what is by far (IMHO) the best Avengers spin-off. 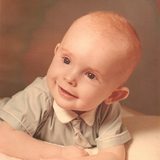 Between the restorations of the radio episodes, the websites (I've been a "Hayes" fan since Second Sight!) and the series one episode reconstructions for the DVD's (I sincerely hope that Optimum will release the 39th DVD on its own so I can enjoy the Hot Snow and Toy Trap reconstructions without having to buy the boxset), you guys are truly heroes to Avengers fans everywhere. I couldn't agree more! The recons are a wonderful body of work - it seems everything Alan & Alys turn their hands to become a definitive resource or compelling experience. Crikey. Presuming it's some copyright issue - perhaps, with luck, a commercial release on the (distant?) horizon? I'm downloading like mad, though a restored commercial release with a nice booklet would be nice. Been frantically checking to make sure I had them all. Somehow I'd missed 'The Joker'. I've had them all for awhile, but there were a few of the HD ones that I didn't have until last night! A little heads up. After ten years of hosting the radio serials, often at my own expense, I've decided that I can no longer afford to do so and have come up with an alternative means of distribution. This will involve a small admin charge per serial (£1.00 each, payable by Paypal) and serials will be forwarded individually to those who want them via emails containing download links. The upside is that for the first time, these serials will be genuinely 'HQ', in that they will be sent as 44.1KHz / 320KB/s MP3s. Please see http://declassified.theavengers.tv/radio_archive.htm for further details. The new downloads procedure is now fully in service. If anyone would like CD-quality downloads for a small admin charge of £1.00 per serial, let me know. You also have the choice of having versions with or without commercials (or both for £1.50 a serial if you feel particularly flush). Both Stop Me If You've Heard This and Getaway are up for restoration very shortly, with work starting next week (I have a publishing project - unrelated to The Avengers - that is keeping me busy until then). Both remaining unrestored serials have now been newly transferred from the original off-air reel to reel tapes, cut up into individual episodes and have had noise reduction applied. I just need to go through each episode and check for errors such as clicks and pops. ETA for these being available for download (see post above) - hopefully by Saturday 28th July.